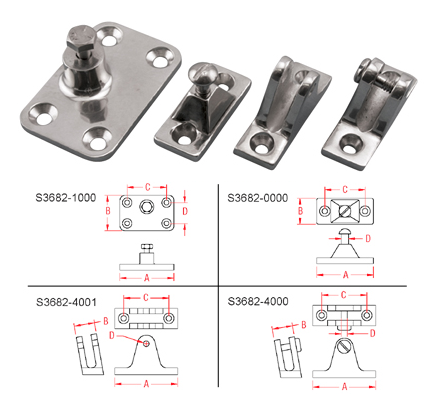 These 4 Deck Hinges feature 80 degree angles, screwed or drilled and heavy duty or regular side mounts. They are made from grade 316 stainless steel for maximum corrosion resistance and durability. The deck hinges are ideal for sailboat and powerboat biminis and dodgers.